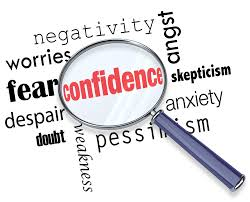 Confidence...it's something that each and every one of us needs to develop in our lives. Someone once said that it was the feeling you have before you understand the situation. How true is that! Another definition describes it as self-assurance that comes from having faith in our own abilities. Confidence is not arrogance. Arrogance is confidence without reason and wisdom. Arrogance causes you to be separated from others. Confidence draws you into the pack. Confidence in God helps you be all that you were meant to be in the midst of others. You were created to do good things for God with your life. You were born with natural and supernatural ability. You are in the place you are in today because of your character, your personality and your God-given skill-set. But mostly, because the Lord placed you there. Now, it's time to let all of that come together for the glory of God. That's when the world opens up before you. Christ INYOU, the hope of glory. Today you can approach God with confidence because you know that He loves you and wants the very best for you. Hebrews 10:35 warns us to not "throw away our confidence" for in the end it will be richly rewarded. You can pray with boldness. You can do the job set before you with favor and God's power when you allow confidence to rise up inside. Not because of who you are but because of who He is! Are you ready to see some great things happen? Do you need some mercy or grace in your time of need? You can be confident that when God is with you, all will be ok!